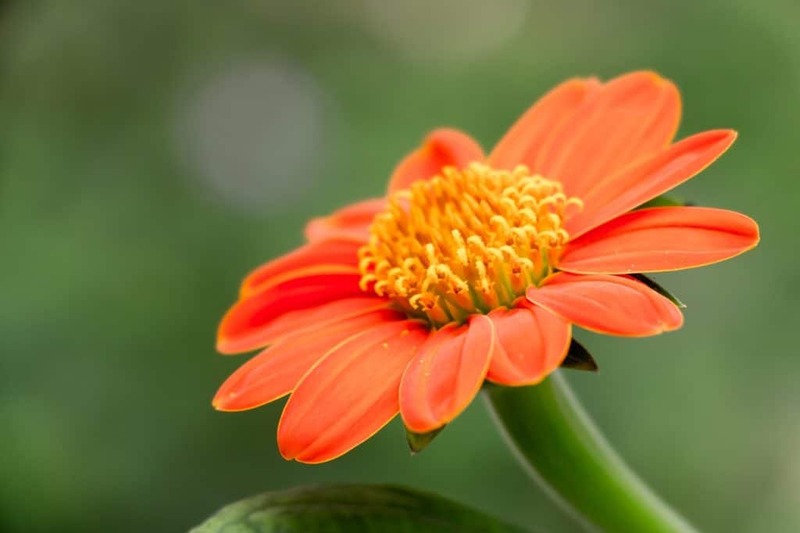 Orange flowers can add a lovely touch to your garden, wedding bouquet or make a great gift for anyone who needs a bit of added cheer. 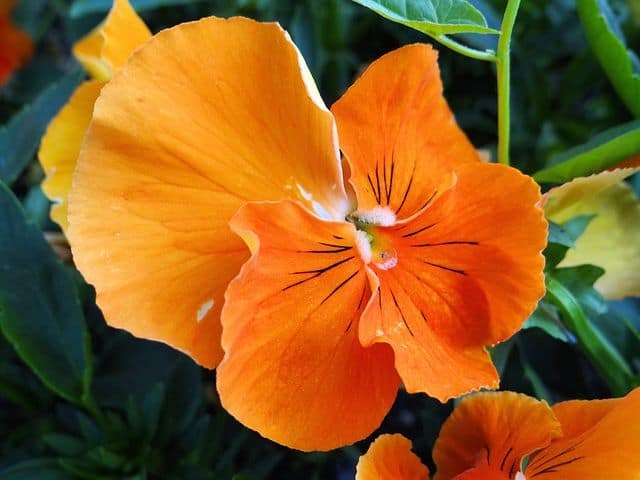 Here you’ll find details on 22 types of orange flowers, plus see great pictures and gardening tips. These single flowers adorn have rigid petals and grow 24-30 inches tall. They are fragrant and attract bees, birds and butterflies to your garden. They are excellent at self-sowing throughout your garden once they have died off in the fall. 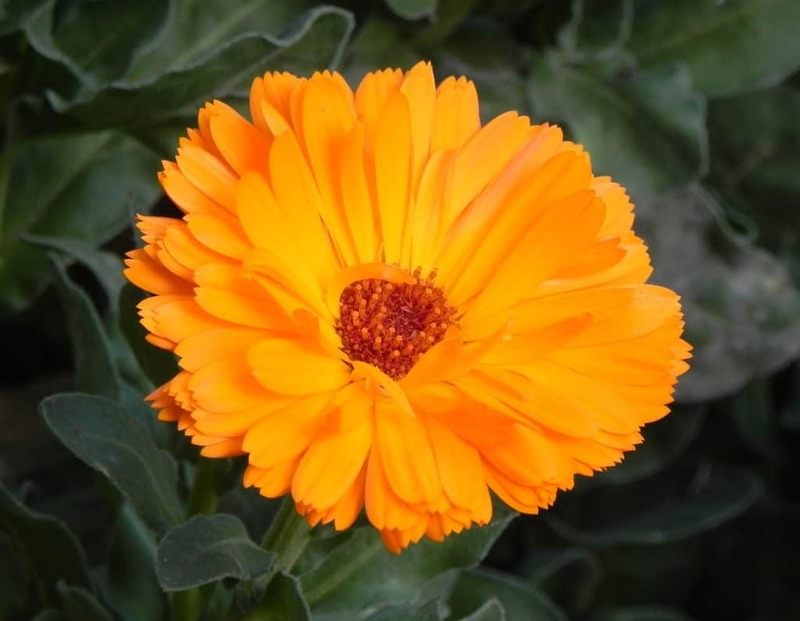 Marigolds, originally called “Mary’s Gold”, are one of the most common annuals grown in gardens. Depending on the variety, they can grow from less than 12 inches up to 4 feet tall. They make wonderful bedding plants and edging for a garden but also thrive when growing in containers. Wallflowers are cool season plants. 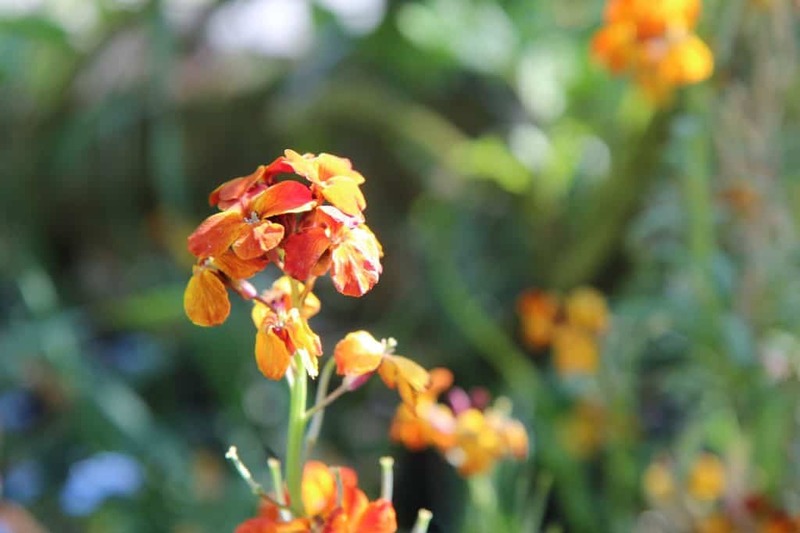 There is a variety of color changing wallflower which will bloom as orange and then fade to a shade of pink or deep purple. They are versatile and can be grown in gardens, along rock walls or in containers. 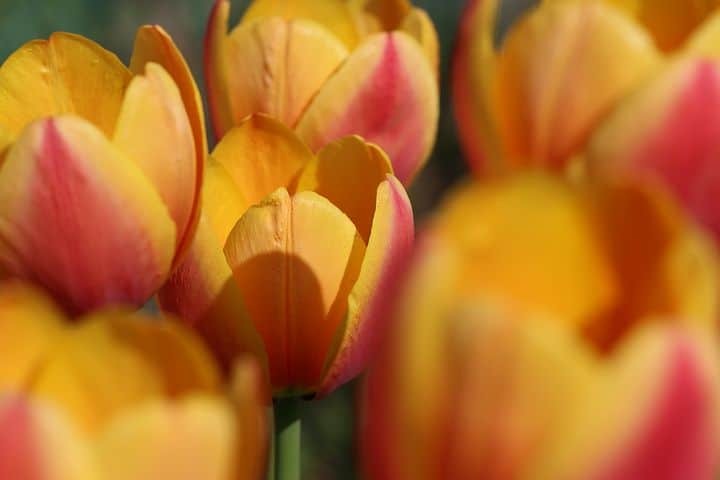 This variety of tulip is also known as the Emperor tulip due to its large bloom size. They can be grown in masses, as border edging or in containers. They are also frequently used as cut flowers in arrangements. 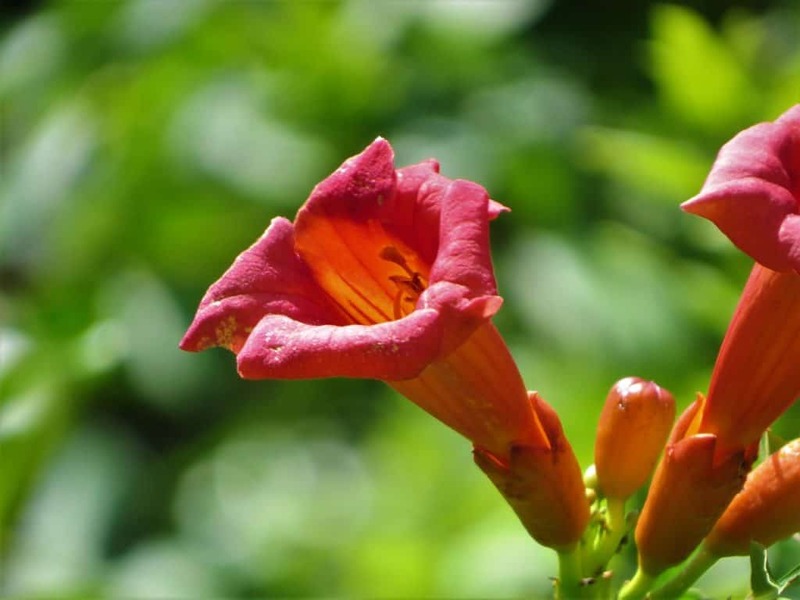 The trumpet vine produces small trumpet shaped flowers. It is considered invasive by some because of its quick growing and ability to spread. Trumpet vines can grow to 20 feet. The poppy’s papery petals almost look artificial. You can use them in flower arrangements, but when grown in a garden they will attract birds. 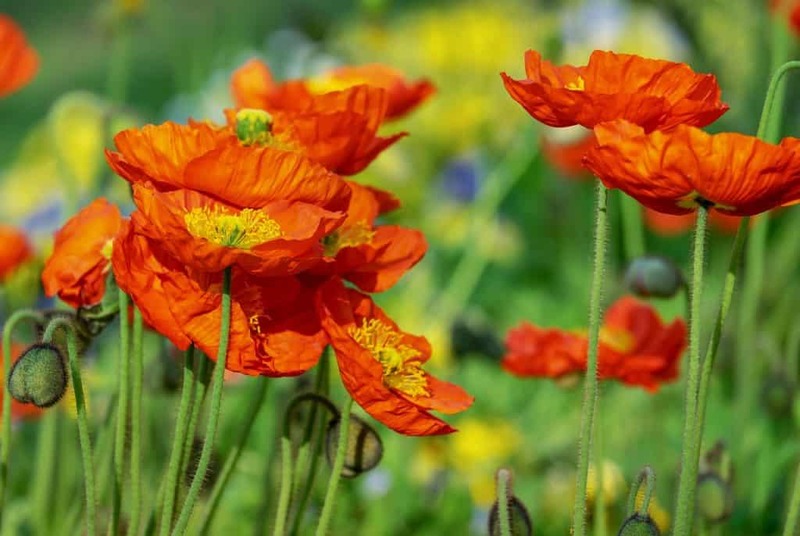 The Prince of Orange poppies have black stamen and seed pods which is unusual for oriental poppies. 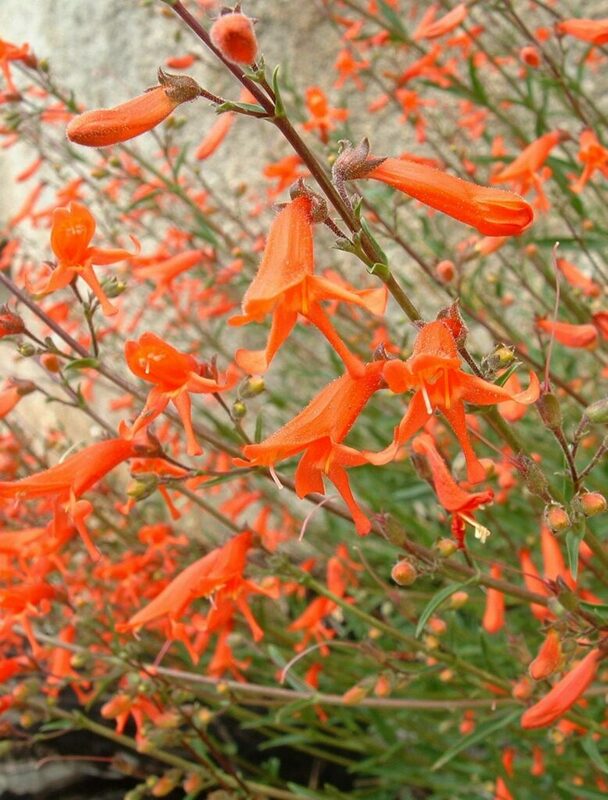 The firecracker penstemon grows to approximately 3 feet tall. They require full sun to ensure that they grow to their full potential but are the most shade tolerant variety of penstemon. When grown in gardens they attract birds but can also be grown in containers or used in cut floral arrangements. 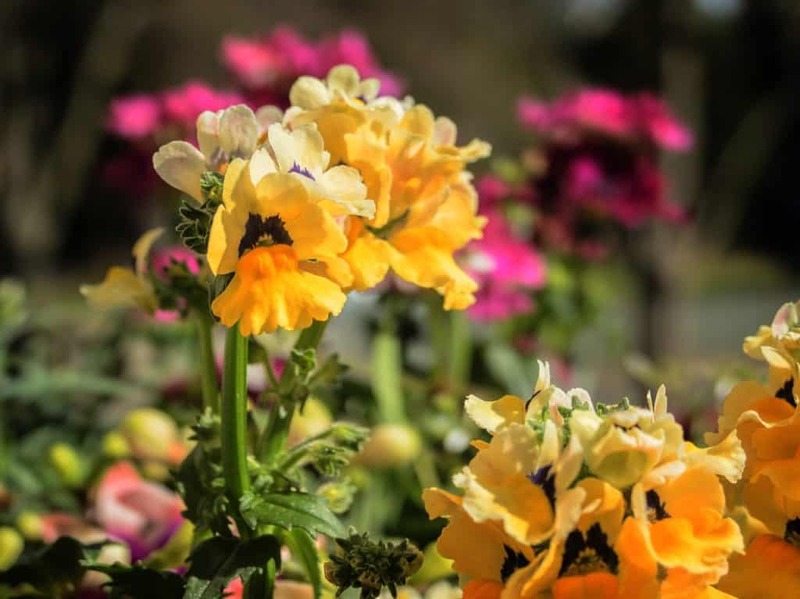 Pansies are fragrant plants which thrive in cooler weather. If planted in late summer, they will give the pop of color to gardens as late as September. In a warmer climate, they can flower all winter. Pansies make excellent carpet cover for gardens when planted closely together in groups of 9 to 12 plants. New Guinea impatiens have a tropical feel to them hailing from New Guinea. Moths and butterflies are attracted to the nectar of these flowers. The Applause Orange Blaze variety has variegated foliage while the Celebration Orange variety has dark green foliage. Nemesia is an old-fashioned flower which has recently come back into the spotlight. They resemble small orchids and have a light fragrance. They can be grown in gardens or containers and are fairly low maintenance. 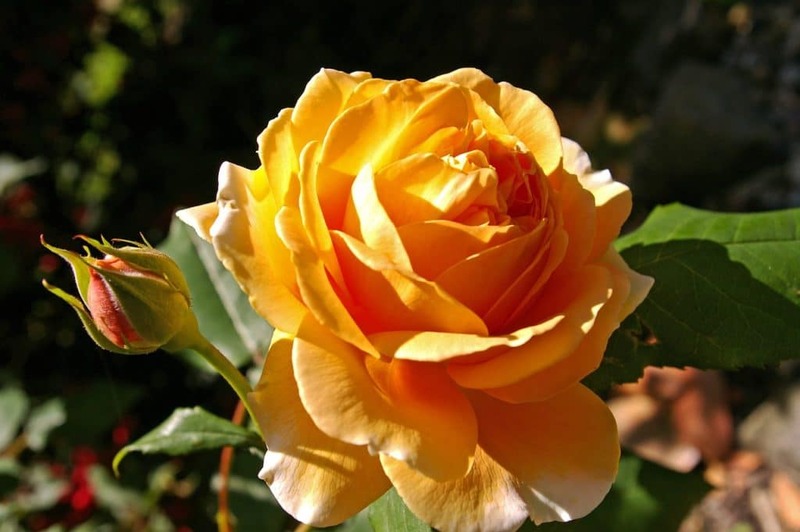 Moss roses are a very tough plant which can withstand the hottest weather conditions. Their leaves are succulent like. When planted in containers the blooms will trail down the side for a waterfall effect. They are also great for ground cover in gardens. 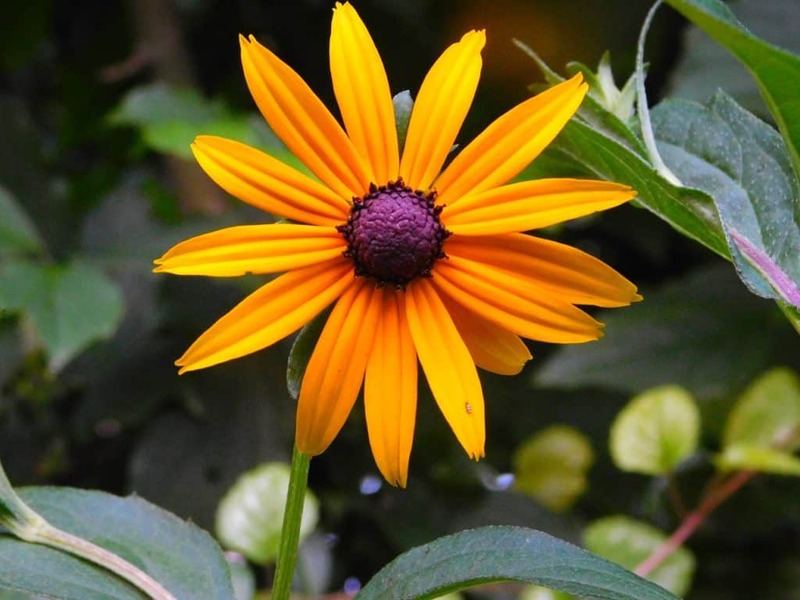 Mexican sunflowers are bright and bold flowers. 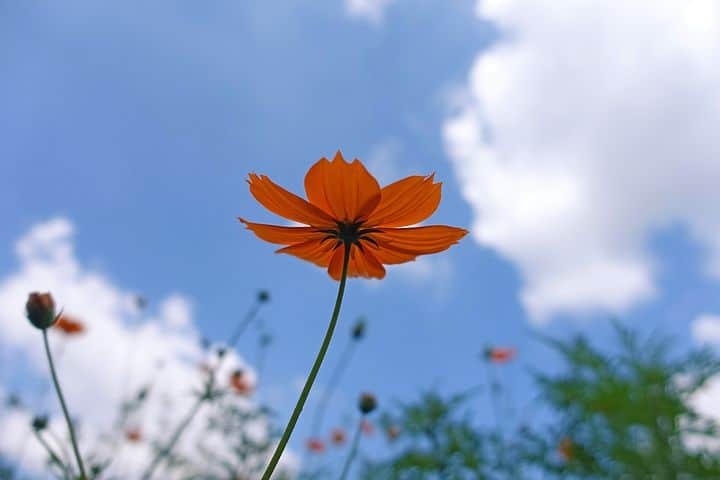 They can quickly grow from a seed planted into the ground and range from 1 to 8 feet tall. Some of the tall varieties will need a stake to help with stability but when planted in the back of a border will give a dramatic look to your garden. 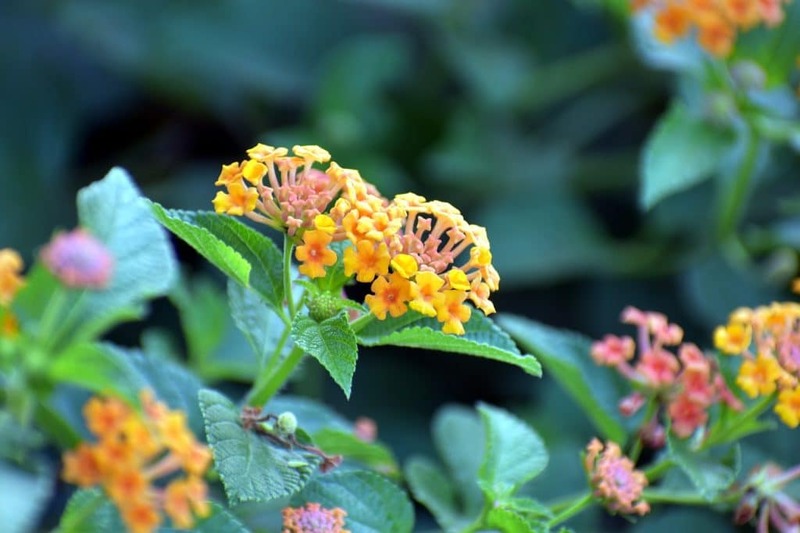 Lantana prefers to grow in light moisture soil and hot conditions. When given too much shade, they will be susceptible to disease and will not produce as any flowers. They are low maintenance flowers and can also be grown in containers. 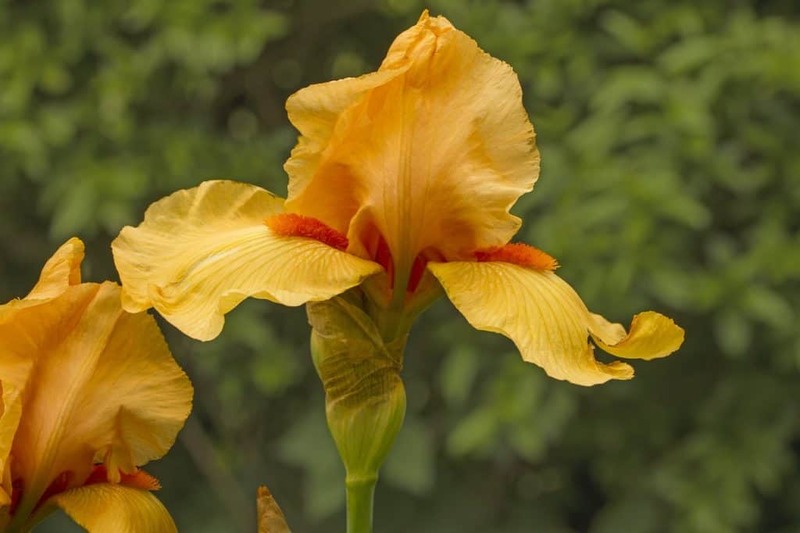 Irises have 3 upright petals and 3 petals which droop. They can grow between 3 inches and 6 feet tall. Irises have a fragrance which will attract birds when planted in gardens. You can also plant Iris in containers. They are low maintenance. 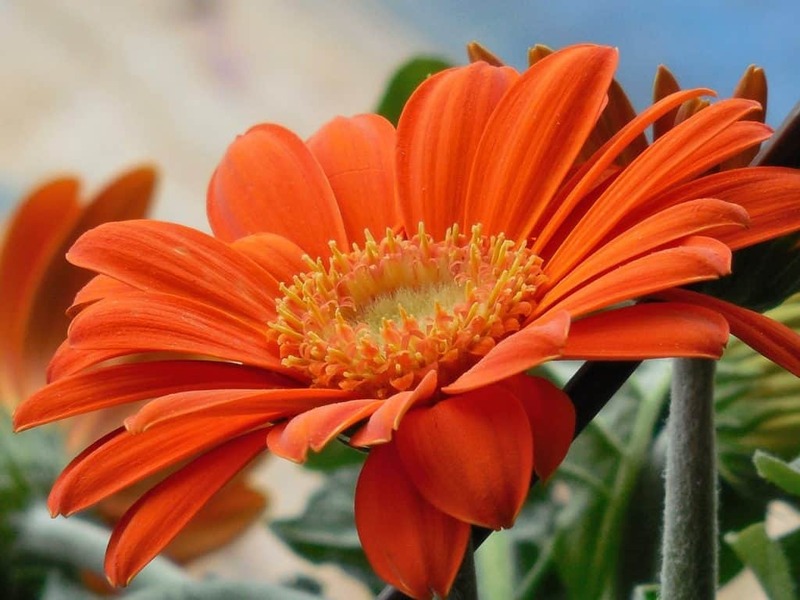 Gerbera daisies are the king of cut flowers with a vase life of up to 10 days. 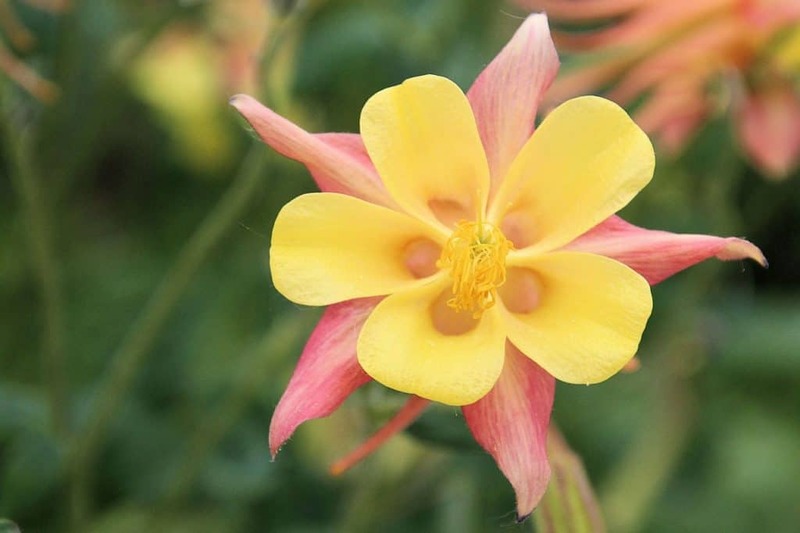 They are most often grown in containers as they have large flowers and foliage which are not ideal for home gardens. English roses are very full with many petals. They are fragrant which makes them fantastic for cut arrangements and bouquets. You can train them to grow along an arbor or fence when they are growing. 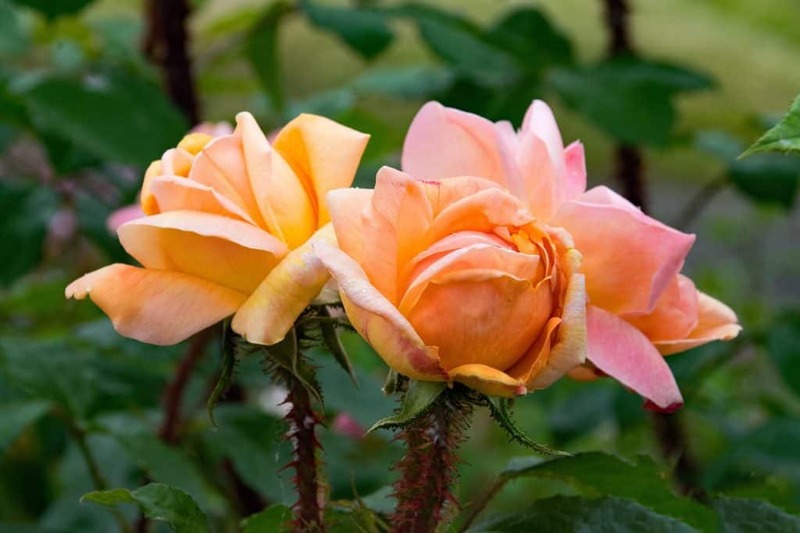 Want to learn about the meaning of orange roses? We have you covered. 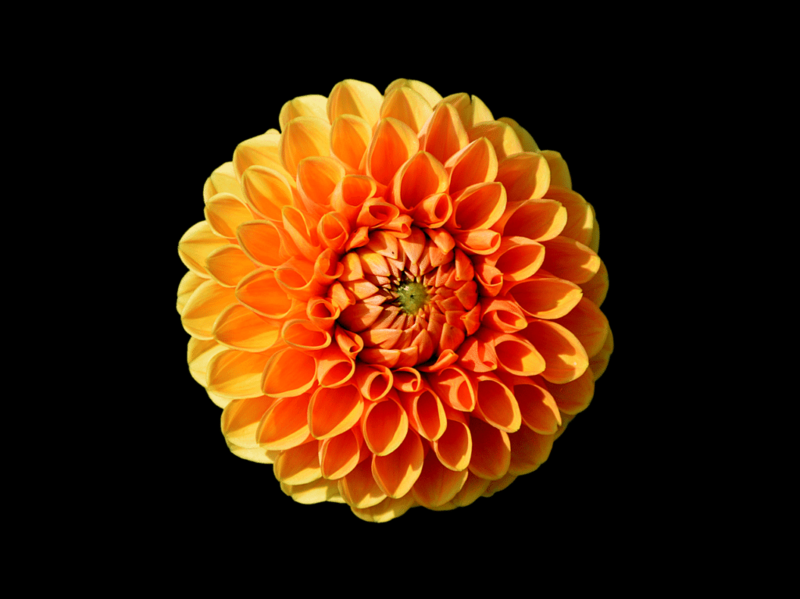 Dahlias feature spike like petals and are frequently used in floral arrangements. They bloom from mid-summer into fall for that pop of color as the growing season is coming to an end. They handle droughts well and are low maintenance. These beautiful plants are absolutely eye catching. 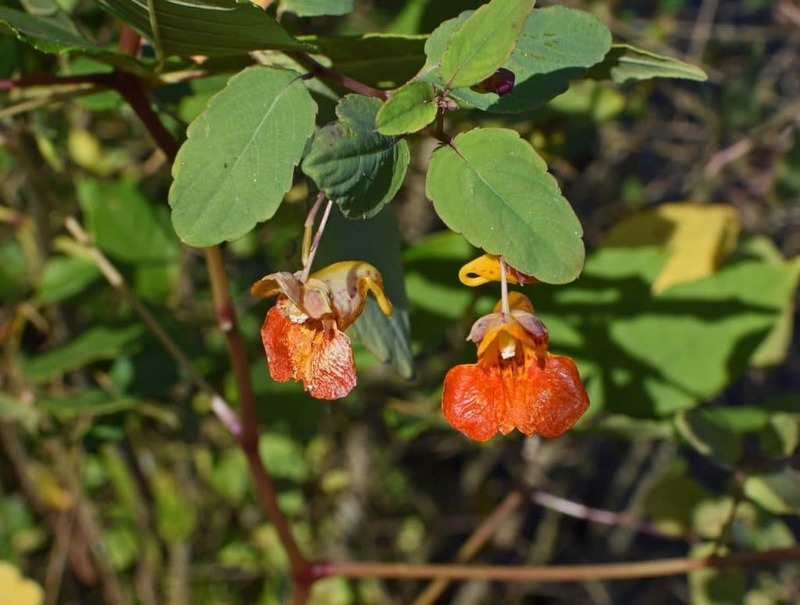 They have a dangling bell-shaped flower with spurs behind. They are low maintenance and because they will self-sow, they will save you some time planting. Coneflowers are wonderful for pollinators and people. They can be used as a cold remedy, mostly in teas. They have a pleasant fragrance and can be used in arrangements. These chrysanthemums are also known as “mums”. They grow in late summer to fall and are commonly used as fall decor in containers. 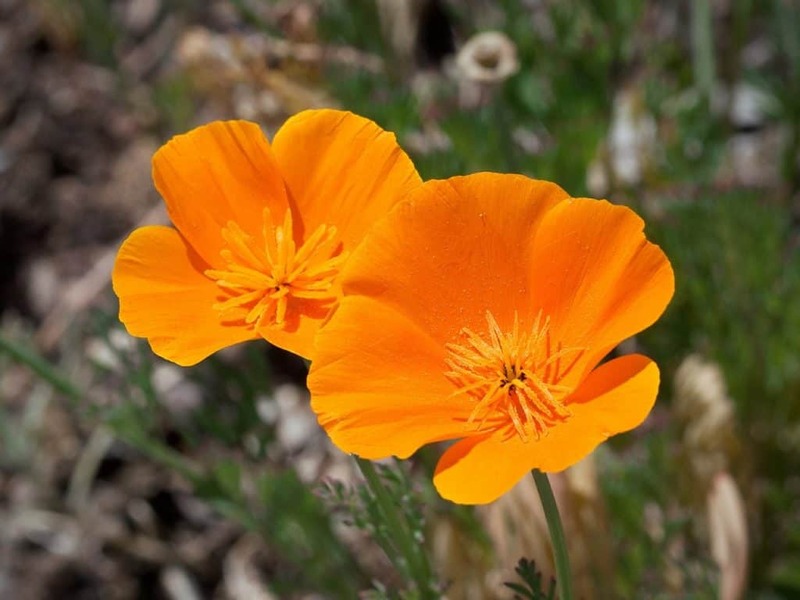 The most common color of California Poppy is orange. They are often thought of as annuals but will reseed themselves for many years. They can also be grown in containers and are low maintenance. 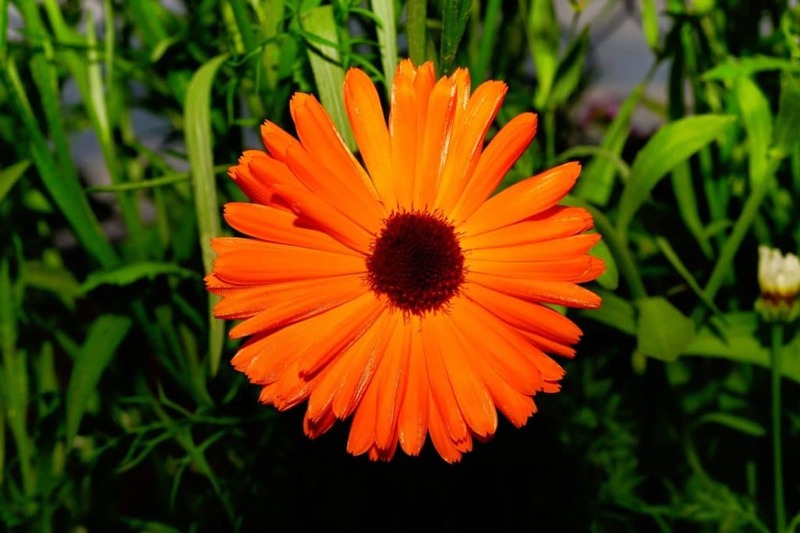 Calendula is often used in ointments and lotions but they are also edible. They are wonderful for cut arrangements and bouquets. When planted in a garden, they will attract birds. They will reseed when grown in the most ideal conditions. Our posts may contain affiliate links, which means we may receive a commission if you click a link and purchase something that we have recommended. While clicking these links won’t cost you any extra money, they will help us keep this site up and running. Thank you for your support!